X-Men: Apocalypse arrives in theaters this week, and while reviews have been mixed, there’s no denying that the X-Men have become a major movie franchise, with a half-dozen films so far, and plenty more on the way. It’s hard to believe these many movies began with a single comic series published by Marvel a half-century ago! I recently re-read the first several issues of X-Men, and it was fascinating to see where and how this modern franchise was born. In celebration of the X-Men’s pending Apocalypse, I thought it would be fun to look at the team’s Genesis, in terms of the major mutant tropes that emerged in the earliest days of the X-Men! Now, I have a confession to make. Despite my love of all things Marvel, I’ve never been a huge X-Men fan, and I’ve considered the earliest run of the book among the lesser works of Stan Lee and Jack Kirby. It had been several years since I read this book, and I went into my re-read expecting unsophisticated stories and a lot of growing pains as the X-Men formula gradually took shape. What surprised me was how much of the modern X-Men storytelling DNA was baked into this series right from the start. And the most magical moment of all was when the most important element of the X-Men ethos flowered into full life in issue #5. The concept of mutant student/heroes was on display right from the start. From the first page of issue #1, class was in session! And “class,” for the most part, meant the Danger Room … though it wasn’t called by that name quite yet. 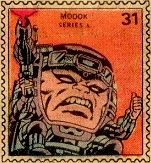 Some of the X-Men’s personalities were also on early display. 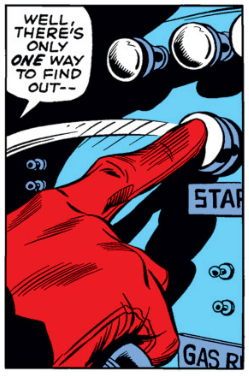 Scott Summers was already a humorless hall monitor. The Beast, conversely, was initially a rough-and-tumble thuggish type … but more about him in a moment. The X-Men were united in their admiration of the school’s newest pupil — Jean Grey. Maybe not quite united — Bobby Drake, the Iceman, was vocal in his disinterest. 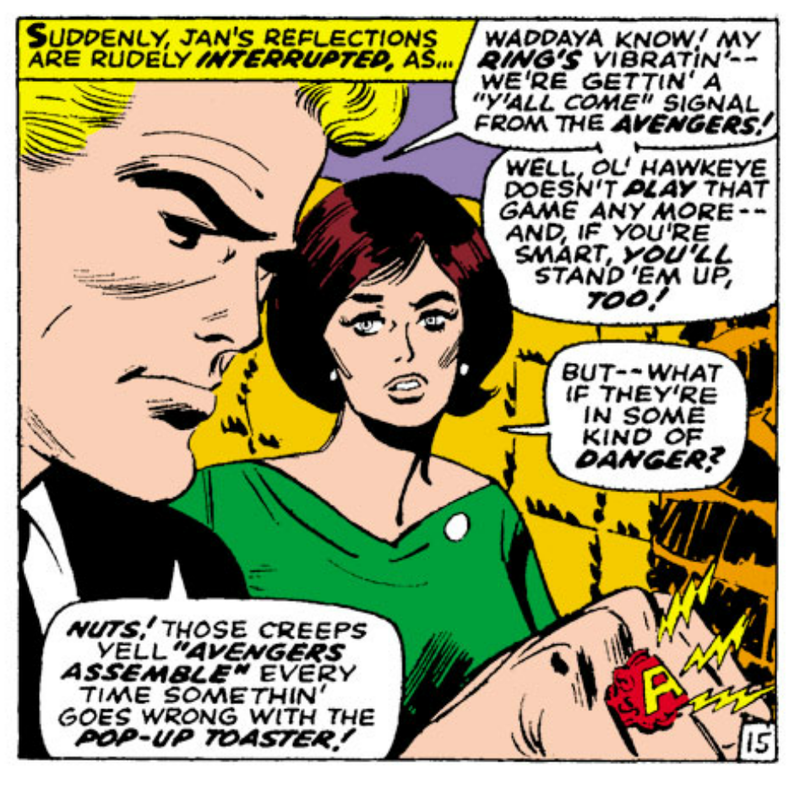 I’m certain Stan Lee and Jack Kirby didn’t mean for this to be more than an adolescent male expressing that girls are icky … but given that Bobby has come out as gay in recent Marvel continuity, this makes for an interesting footnote. Most important, this first issue laid the groundwork for the core element of the X-Men mythos — that mutants are different than humans, and feared by them. And mutants are feared with good reason! That’s right, there are evil mutants, too … And right on cue, we get a gloriously deranged Magneto, ranting about Homo Superior. Our heroes put Magneto to flight, which earns them the appreciation of the Army. While hinted at earlier, that critical element of the X-Men — that society hates all mutants, good or evil, just for being mutants — hasn’t quite coalesced yet. But there was one bit of X-Men lore that got well and truly locked in this issue — the Danger Room got its name! Issue #3 saw the X-Men’s mission of reaching out to the world’s mutants start to come into focus, though the way Professor X was shown to do it was kind of creepy. The Mutant-Of-The-Month was the Blob. It was amusing that Professor X had no “Plan B” if someone had the temerity of turning down an invitation to the X-Men. Someone might take a dim view of risking his neck in the Danger Room and getting bossed around by Scott Summers? Inconceivable! The Blob clearly wasn’t X-Men material. That he used his newfound status to try to take over a circus speaks volumes … and also serves to underscore the emerging good-mutants-versus-bad-mutants theme taking root in the book. This issue also saw the Beast reinterpreted as educated and sophisticated. In Son of Origins, Stan Lee wrote this change was because the original, rough-hewn Beast seemed too much like The Thing, from the Fantastic Four. And so the Beast started using big words and reading an advanced calculus book with his feet! 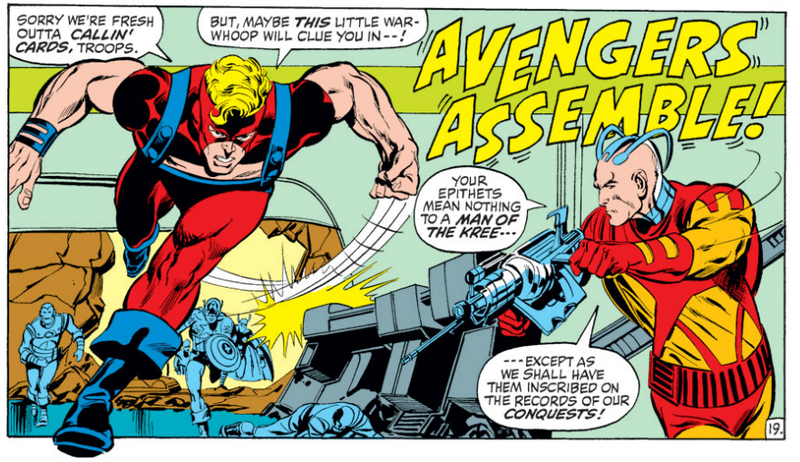 Issue #4 featured the return of Magneto, now in command of the Brotherhood of Evil Mutants! Chief among Magneto’s crew were Quicksilver and the Scarlet Witch — pretty much the odd-mutants-out in Magneto’s Brotherhood, and destined to to respond to the better angels of their natures and become heroes after an issue or two. 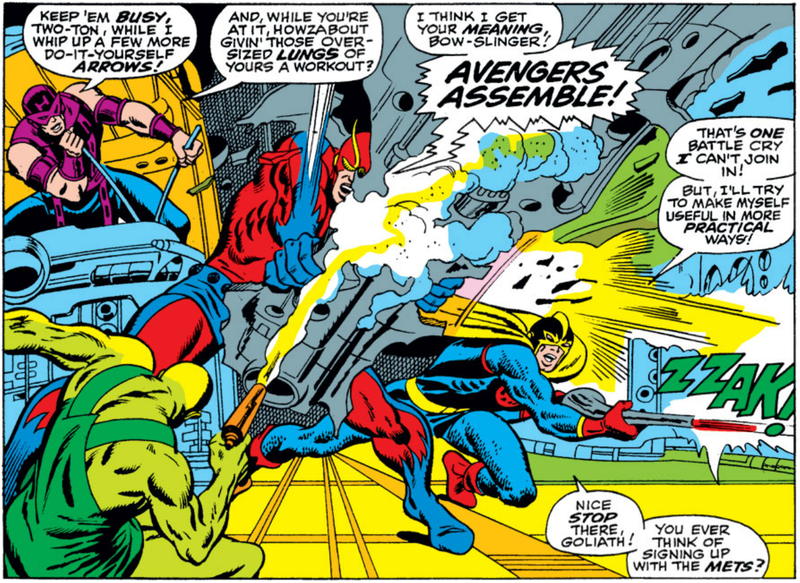 But they did provide the perfect audience for Magneto to blast off again about the secret mutant war that was becoming the heart of the book. The friendly men-on-the-street and allied authority figures of the first few issues have given way to an ugly mob that turns against mutants because they are different … while the X-Men emerge as heroes who look out for their own kind, but also defend anyone who is in trouble, even the people who hate them. With these two panels, the X-Men are well and truly born. The idea that our heroes were mutants, and that they were students in a school, did help to set the book apart right from the start — but these were external elements, and over time they would have been little more than gimmicks. By providing the X-Men with the internal dynamic of being hated by the outside world while still pledging to serve the common good — well, that’s a concept that could (and did!) sustain these heroes for decades to come. Suddenly, X-Men was more than a superhero fist opera. It was a battle for hearts and minds! And the stakes couldn’t be higher, because that battle was fought inside the team itself — like in issue #8, where Beast stormed off the team after being set-upon by a bigoted mob. That’s an argument we’ve been having in X-Men to this day. 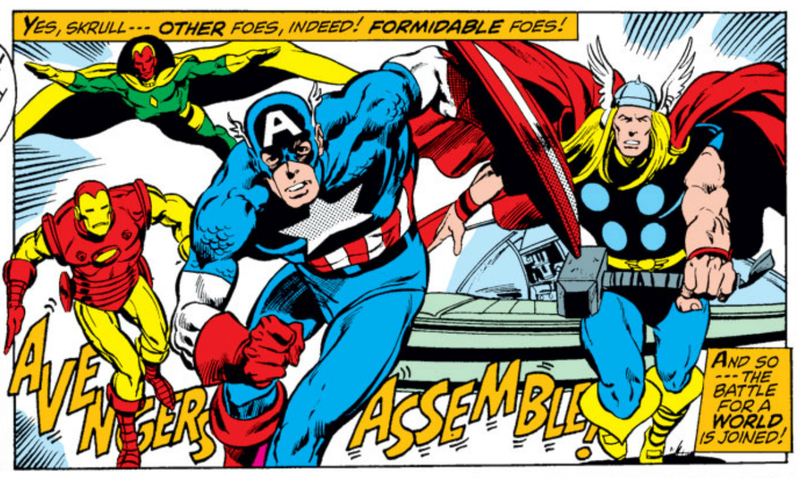 … you can still trace the genesis of this beloved Marvel super-team to those first, at-times-awkward issues by Stan Lee and Jack Kirby. Was there anything those two guys couldn’t do? And has there ever been a longer-gestating comic book hit than the X-Men? The book was ten years in the wilderness before it turned into a phenomenon with that new team, above — ten years where the series flirted with cancellation, and was even a reprint book for a time. The reintroduction of the X-Men under Len Wein and Dave Cockrum (and Chris Claremont, who took the ball and ran with it) was pitch-perfect, using the core ideas and history of series as a jumping-off point, and introducing a colorful and (mostly) new cast of characters that connected with the audience in ways the originals never quite managed. Given Marvel’s nature — and the necessity of keeping those trademarks fresh — I expect the X-Men would have continued to get times at bat even if the 1974 series had fizzled, but that would have been no guarantee of success. How many times has Marvel tried (and failed) to make us fall in love with the Inhumans? Deathlok, Blade, Ghost Rider … every couple years, these characters get a chance to seize the spotlight, but they’ve never pulled it off, certainly not to the degree the X-Men have enjoyed. In terms of unlikely success, I expect only the Guardians of the Galaxy rank higher in Marvel’s oeuvre, and while the Guardians used a clever comics reboot as a springboard for their success, that property has really been more of a movie phenomenon than a comic book success. Anyway, it just goes to show that sometimes it take awhile to get it right … and that you can’t rush success. The idea and the moment have to meet, and even then, you need a lot of luck. But hope springs eternal, and one of the pleasures of being a comics fan is watching a tertiary book like X-Men or the Guardians turn into a runaway success. It’s the kind of thing that inspires collectors to hang on to even their most obscure comic books — you never know when some lame old first issue is going to turn into solid gold. I’ve been reading more contemporary comics lately — and my last post about Perfect Pages referenced a book published in the current century (gasp!) — but just to prove I haven’t ceded my classic comics bona fides, I present a perfect page from 1966! The page above is from Amazing Spider-Man #41, featuring the first appearance of the Rhino, written by Stan Lee, pencils by John Romita, inks by Mike Esposito (credited here as M. Demeo), and lettered by Artie Simek. Whereas my previous Perfect Page lauded the creators for using the comics form to engage the senses in a unique way, the page above is all about bread-and-butter superhero storytelling. John Romita was still getting his feet under him after taking over Spider-Man from Steve Ditko, but on this page he shows why he would come to be considered the top Spider-Man artist of all time. Two things, in particular, leap off this page for me. First, Keyframing — Romita choses two great bookends for this three-panel action sequence, and they are perfectly framed: Rhino crashes into the phone booth, and Rhino smashes the street light. Each shows us what the characters do best in this fight — Rhino runs into things, and Spidey gets out of his way. 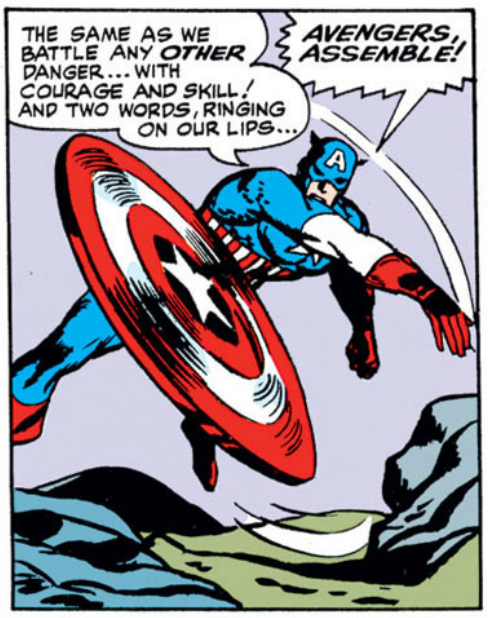 The middle panel is a needed rest beat between the extremes, but Romita still works in Rhino throwing a telephone at our hero — a great middle-point in a one-two-three visual combination, and the pivot point of a page where the first and last panels offer an “in” and and “out” for the action. Second, Continuity — The panels clearly lead one-to-the next, allowing the reader to effortlessly follow the story. Rhino smashes into the phone booth while Spidey leaps to the street light/Rhino recovers while Spidey taunts him from his supposed place of safety/Rhino smashes into the street light while Spidey scrambles out of the way. It is a perfect three-beat sequence, showing off the characters and what they do, with a power-exchange between Rhino and Spidey in each panel — smash/taunt/smash. Great visual rhythm and dead-on characterization! 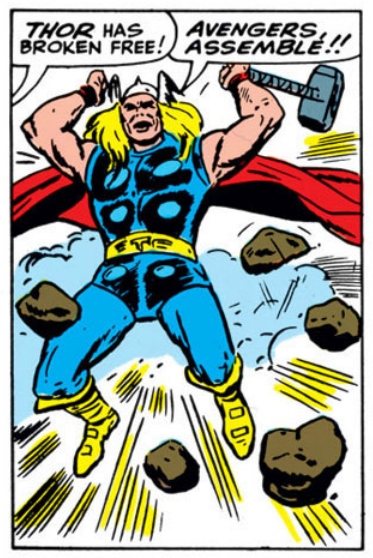 I’ll even raise my hand in favor of two storytelling techniques that have fallen out of favor as the comics form has evolved — big, bold sound effects, and thought balloons. I love how STOMP! is repeated on this page (and throughout this issue) as the Rhino’s audio calling card. The placement of STOMP! 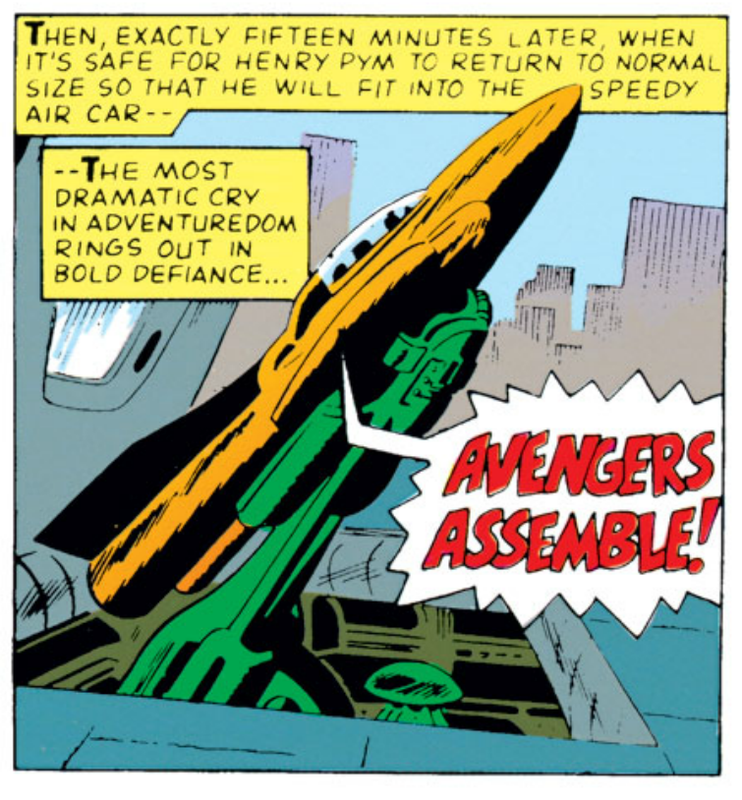 in that first panel is especially adept, emphasizing the heavy fall of the Rhino’s feet, and anchoring the character as he crashes into the phone booth. (Does your mind’s eye fill in a CRASH sound effect when Rhino hits that glass? — mine does). Spidey’s thought balloons aren’t completely necessary, but they do add context to the easily-overlooked police alarm sound effect in the first panel, and they serve as a ticking clock in the second panel, reminding us that Spider-Man is trying to keep his more powerful foe off-balance until help can arrive, which adds urgency to the scene. I also like Stan Lee’s scripting on this page. We know that Rhino looks ridiculous … and Stan knows that we know … so he lets us into the gag by hanging a lampshade on it and having Spidey mock Rhino’s costume. Sublime. These are tough times for the World’s Greatest Comic Magazine. The Fantastic Four are conspicuous by their absence from Marvel’s next big reboot, and their new movie is supposed to stink (putting it in good company with the ones that have come before). 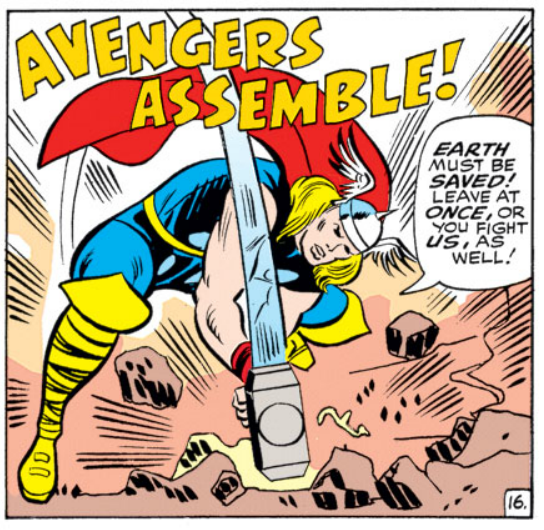 While the series has enjoyed signature runs under creators like John Byrne and Jonathan Hickman, you could argue that the Fantastic Four went into decline when Jack Kirby left the book with issue #102 in 1970 (if not earlier). Classic heroes. Great villains. Galaxy-spanning adventures of lasting importance. A sprawling supporting cast that’s better than the headliners of many other books. 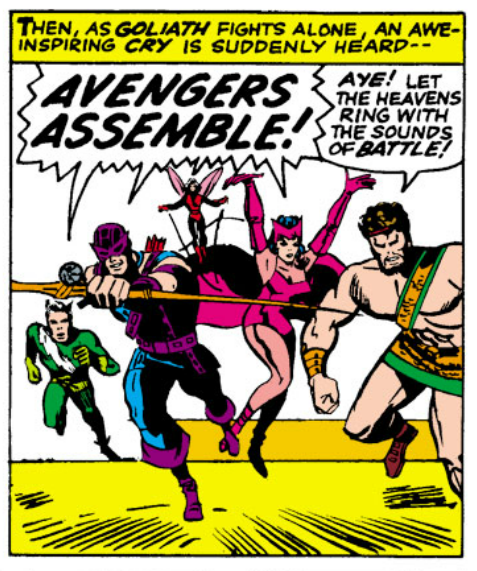 And yet, today the Fantastic Four feels like a second-tier property (and maybe that’s giving them too much credit). How can Reed, Ben, Johnny, and Sue regain their mojo? I’m far from an expert on this series, but on the eve of their bound-to-be-disappointing third (fourth?) film outing, I thought I’d look at key aspects of the Fantastic Four — the things that make them special, and the things I think need to be front-and-center in any interpretation of this property. I’m certain I’ll miss a few things (and overstate others), so be sure to give me your impressions, additions, and push-backs in the comments section, below. But without further apology … here’s what I regard as the Core of the Four! There is a special magic in the partnering of Mr. Fantastic, the Invisible Woman, the Human Torch, and the Thing. They’re primal elementals … brains, heart, charisma, and brawn … husband, wife, brother, and best friend. From time to time a member will leave the group, but the Fantastic Four just don’t feel like the Fantastic Four without their four founding members front-and-center. The team has had its share of membership changes and roster shake-ups, but while I like She-Hulk as much as the the next guy, for me the Fantastic Four has to center on the original four canonical characters. The book can and should have a robust supporting cast — but Ben, Reed, Johnny, and Susan have got to hold the center stage. Without these guys, you don’t have the Fantastic Four. The Fantastic Four shouldn’t feel like a part of the Marvel Universe — they ARE the Marvel Universe. Actually, they’re bigger than the Marvel Universe! Anchored by their Baxter Building HQ, the Fantastic Four enjoy the same New York City playground as most of Marvel’s other characters … but they also have the limitless reaches of outer space, strange alternate dimensions, and hidden enclaves like Attilan, Latveria, Atlantis, and Wakanda as their domain. One of the great charms of this series is that it is as at home on Yancy Street as Ego the Living Planet, and everyplace in between. From month to month, a reader shouldn’t be able to guess where an adventure is going to start, or where it is going to lead. This series should have the broadest canvas in comics. The Fantastic Four can tackle serious threats — you don’t get much more serious than Galactus trying to eat the planet! — but this is a sunlit series long on adventure and … well … fun. 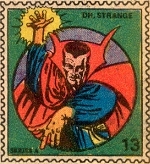 It is a rational world where science can solve anything (and cause a few problems along the way); it’s a trivial world where the Fantastic Four are celebrities at the heart of the world’s biggest reality show; it’s a childish world where the Thing and the Torch wreck their headquarters over some silly prank; it’s a flexible world where characters like Doctor Doom and the Impossible Man can share the same stage. At the core, the Fantastic Four is an unapologetic Silver Age adventure story, a kitchen sink of space gods, bank robbers, killer robots, villainous landlords, mad science, and romantic melodrama. There is angst, disappointment, and heartbreak along the way, but the Fantastic Four isn’t grim, miserable, or violent — it is the story of four optimistic souls who love each other and love having superpowers (even Ben Grimm, who over time has evolved from a wretched man trapped inside a monster into a wise old brawler who is — most of the time — comfortable in his own skin). The Fantastic Four should have fun on their adventures, and their adventures should be fun to read. It’s not such a dirty word. Say it with me, now — FUN! The Fantastic Four are Marvel’s First Family — they can and should be at the center of everything that happens in the Marvel Universe. 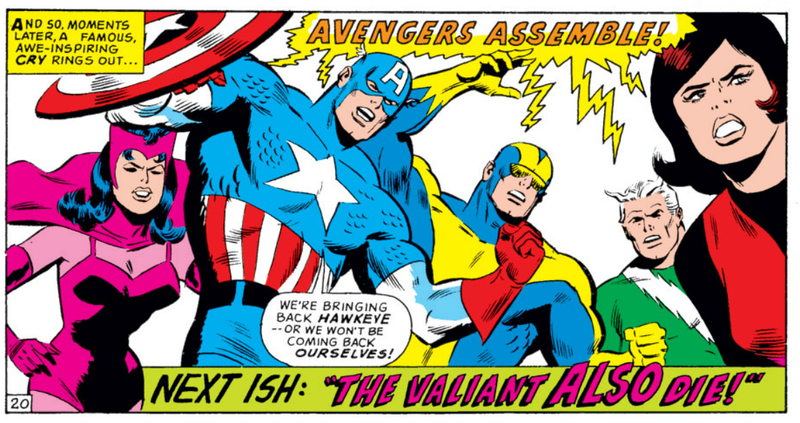 Over the decades, the X-Men and (more recently) the Avengers have grown into Marvel’s go-to teams when disaster threatens, but really, it is the Fantastic Four that you want when it is time to get things done. They’re the team with the unimpeachable reputation, with connections around the globe (and around the universe! ), with the cutting-edge tech, and the unmatchable reserve of experience and talent for tackling any problem. They can be diplomats, they can be scientists, they can be explorers, and they can be a wrecking crew with equal aplomb. They’re privately funded and committed to the public good in ways that less organic super teams cannot match. 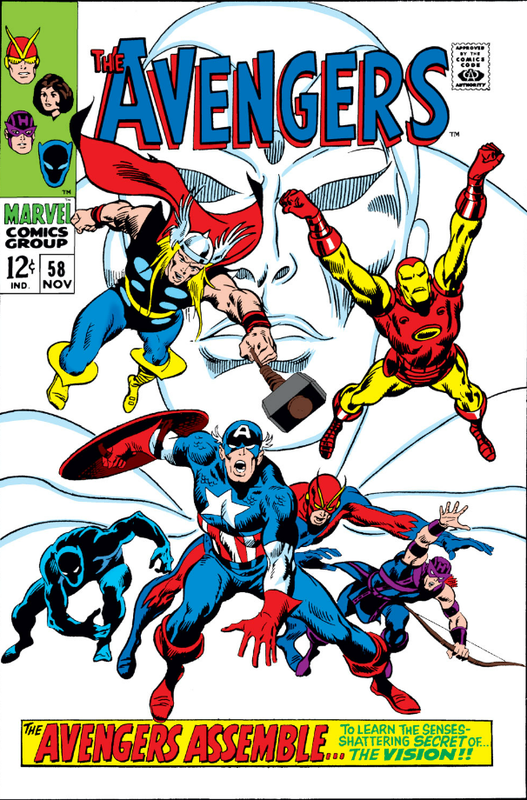 The biggest events of the Marvel Universe — from dimensional rifts to alien invasions to the wedding receptions of super-spouses — really only feel big if they happen to or with the Fantastic Four. That the Fantastic Four have been pushed to the margins of the Marvel Universe is a tragedy for the title, and an even greater loss for Marvel, as it denies the larger part of the heritage that makes Marvel great. Get this book back on the schedule! Free the Fantastic Four! That’s your core — big adventures with intimate characters. A legacy of heroism and adventure. A sense of destiny and duty. Unbreakable family bonds. Fun! Give me those things, or you’re not giving me the Fantastic Four! 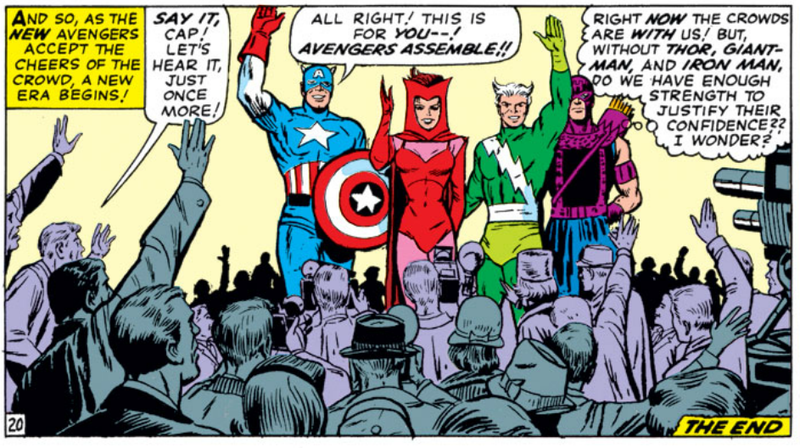 It might seem that I’m advocating for a strictly Silver Age Fantastic Four — and those hundred-odd Silver Age issues by Stan and Jack are still tops in my book — but this needn’t be the case. Sure, I’d love to see a 1960s-era Fantastic Four movie with a Mad Men visual sensibility, but there are some core elements of the original series (like the Cold War competition with “the Reds,” or the sexist portrayal of Sue Storm as a weak and superfluous member of the group) that are best forgotten. The wildest excesses of the Silver Age can and should likewise be tempered for contemporary audiences. But the soul and spirit of that era should proudly remain at the heart of the Fantastic Four. This is a great property … a great series with a great heritage. All that really remains is for the Fantastic Four (and Marvel!) to recognize that greatness — and embrace it. Depict the Fantastic Four with confidence and swagger and prove they aren’t a relic of a bygone age, and that their greatest adventures are yet to come. I’m ready to join them! How about you? Give me your own reboot ideas in the comments section, below!